Perhaps the most famous vampire story of all time, Dracula is an awesome tale of a thrillingly bloodthirsty vampire whose nocturnal atrocities embody the dark underside of an outwardly moralistic age. 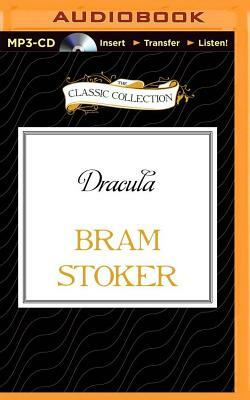 As he searches for new prey, desirous to spread the undead curse, Dracula looks toward England. There he is met with resistance from a small band of men and women, led by the intrepid Professor Abraham Van Helsing. Will the people be able to keep the fearsome Dracula from terrorizing their community?